Partly cloudy skies early will give way to cloudy skies late. Low 59F. Winds SW at 5 to 10 mph.. Partly cloudy skies early will give way to cloudy skies late. Low 59F. Winds SW at 5 to 10 mph. Many students participating on the Project Life: Positeen after-school tutoring program were named to their schools' honor rolls or presidential lists. Some made the honor roll. Some made the presidential list. And one is going to a national forum this summer. But all of the students were proud of their accomplishments, said Liz Zimmerman Keitt, founder and director of Project Life: Positeen, an after-school tutoring program. 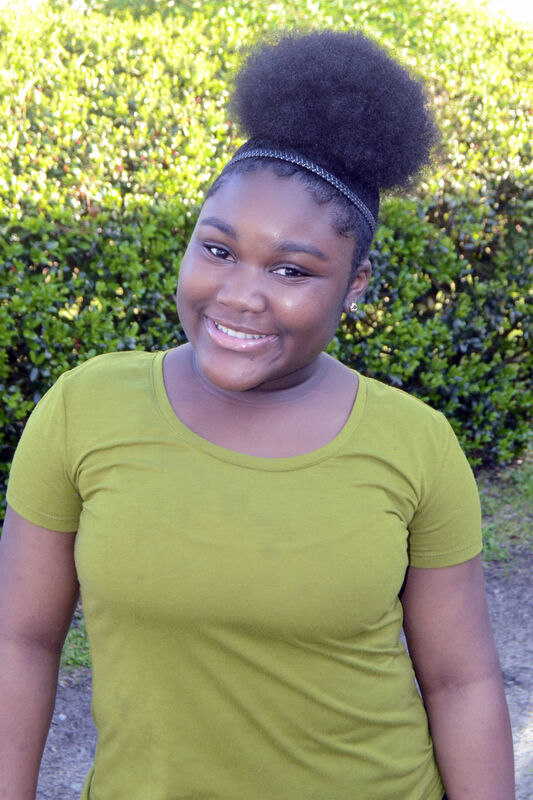 In addition, eighth grader Fantaisha Polite was selected to attend the National Youth Leadership Forum July 14-19 at Emory University in Atlanta. She was chosen based upon her academic potential and interest in the areas of science, technology, engineering and math, or STEM. A student at Robert E. Howard Middle School, Polite is the daughter of Mr. and Mrs. Terry Polite of Orangeburg. She is a member of Warren Chapel Baptist Church and attends Sunday school every Sunday.